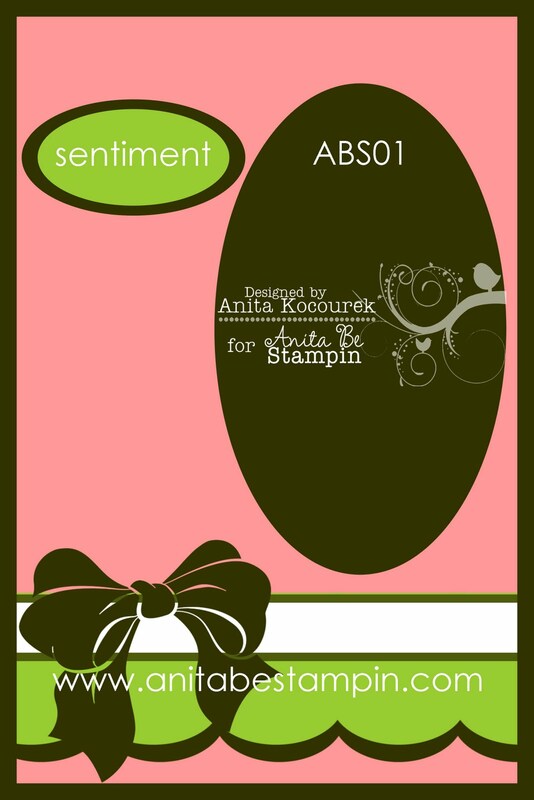 Anita Be Stampin: Anita Be Challenged? This is gorgeous!! I LOVE that tulle bow.. It is perfect with this awesome image. YUMMY! Love the tulle and the you layered the sentiment! Woot, woot! Hi Anita!! THis is so gorgeous. I love the color combo and how elegant your card looks. So glad to on this DT. Oh I love the Tulle you used. I just recently starting using tulle on my cards to to make flowers. It gives such an elegant look and it's so muh cheaper than ribbon. Pretty in Pink! LOVE it! Anita, I love your card! I am so excited to be working on this DT. i love these images! I just finished hopping...what awesome talent I saw. All the members did a super, fantastic job. Great team. Thanks for having this blog and sharing this fantastic design work!! super cute stamps! I'm loving all your new stamps Anita! gorgeous work!